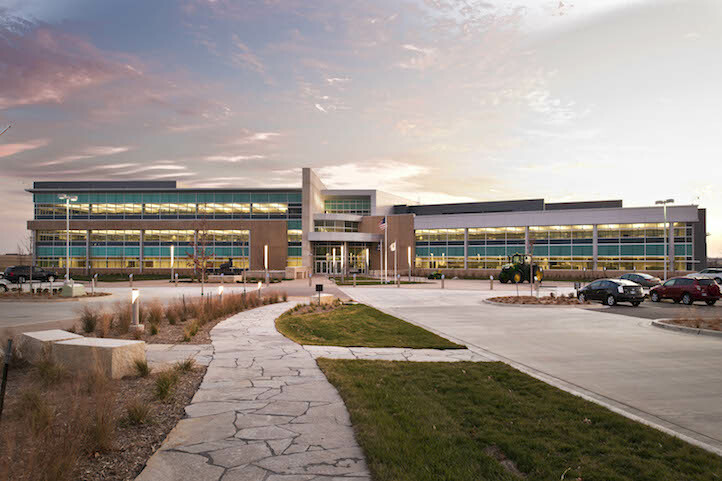 When John Deere North American hired Weitz Company to build its new 126,150 square-foot sales and marketing center, it challenged the contractor to create a space that accommodated cutting-edge technology and sophisticated design along with safety features to account for the building’s location in tornado alley. American Direct helped the contractor select a stile-and-rail door product that added an air of sophistication to the aesthetic of the facility. American Direct was also able to help supply the contractor with door systems at the eight openings for the two tornado shelters that met all FEMA requirements. 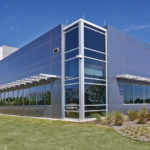 What’s more, American Direct worked to secure local suppliers to help the project meet Gold certification from the U.S. Green Building Council.